Is your Internet provider delivering a good quality service? If the answer is “no”, then how can it be measured? A nice way to get a sense of your Internet’s quality is to ping a remote host and watch the response times. This is what we call “Latency”. 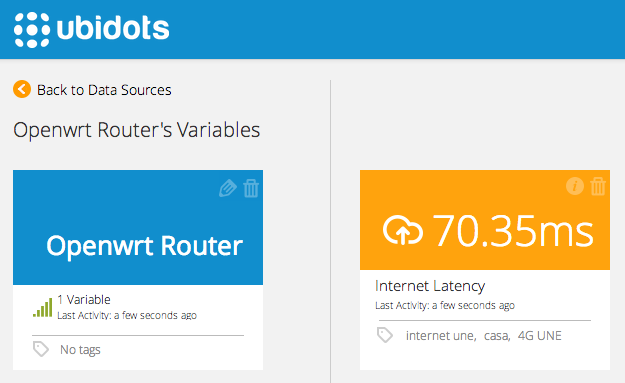 This guide explains how to use an OpenWrt router to log the response times returned by the PING program, and send these times to the Ubidots cloud. OpenWrt is a Linux distribution for your router. As a Linux box, it allows you to manage packages and setup services like VPN’s, SSH, Telephony, etc. However, it runs on limited hardware and each service should be as light as possible. This is why we’ll use Lua, a powerful, fast, lightweight language that is mostly used for embedded devices. To complete this guide you will need an OpenWrt capable router. You can find a list of supported routers in their website. Follow the router-specific instructions to flash your device. 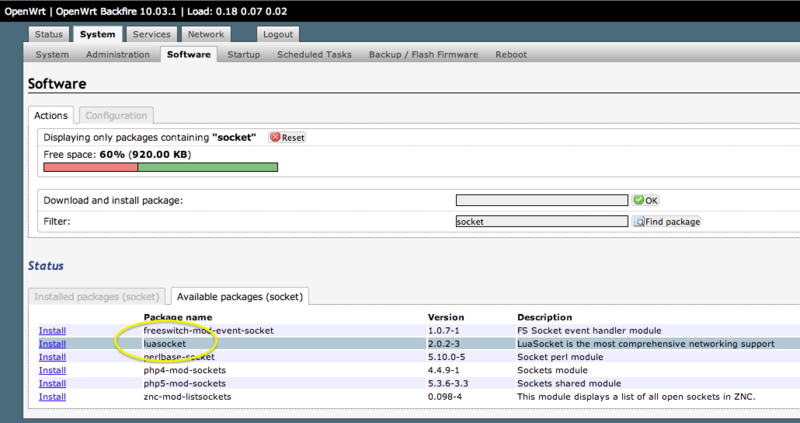 Note: This tutorial has been done and tested with OpenWrt version 10.03.1 (Backfire). LuaSocket: Contains the methods to create HTTP requests. LuCi JSON: A set of utilities to handle JSON objects. 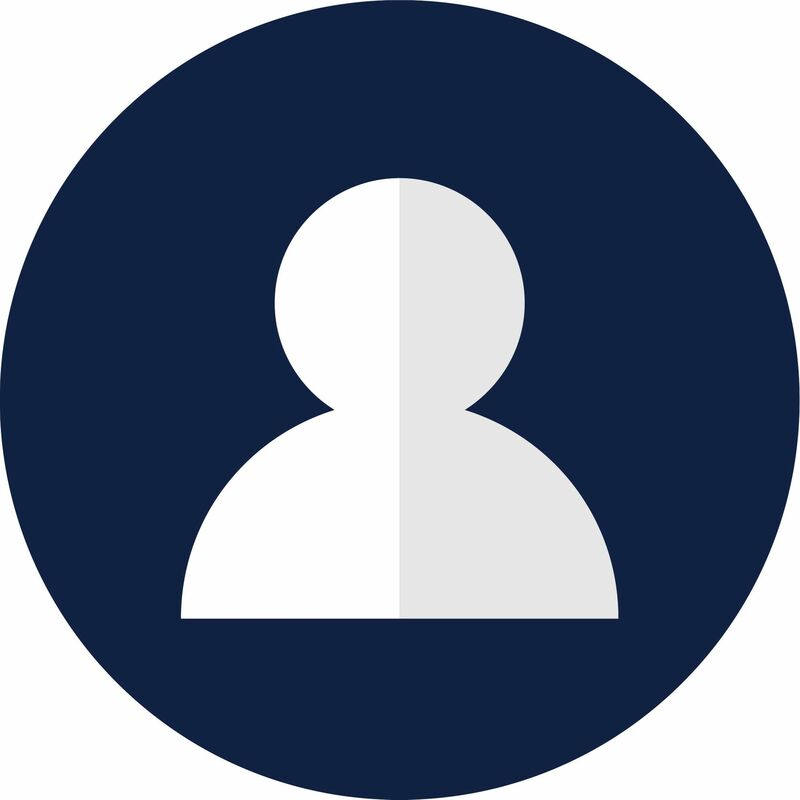 Create a permanent TOKEN under your profile tab and take note of it – we’ll also need it for our Lua code. 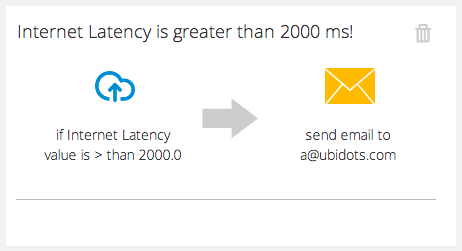 We’ll write some code to measure the Internet latency and then send it to Ubidots. 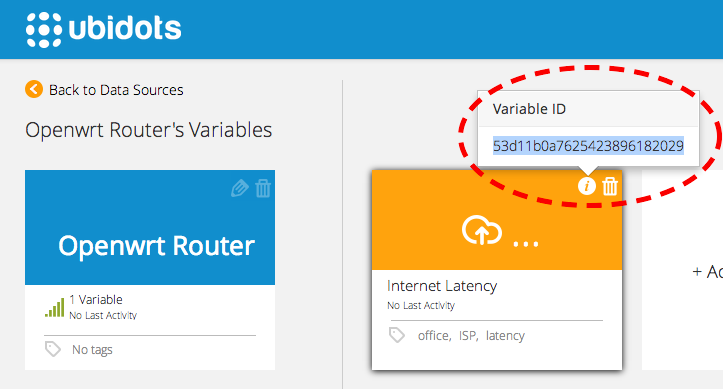 variables: You can list individual variables, each one representing the Ubidots’ ID and the host to which the PING should be made to. For this example, we’ll use our variable’s ID and the host “Google.com”. token: A fixed token generated in your profile tab. host: The host to which the HTTP requests will be made to. Ubidots’ API address in this case. port: Port where the host is listening. 80 by default. local config = require "config"
local ltn12 = require "luci.ltn12"
local json = require "luci.json"
-- Getting response time from ping output. 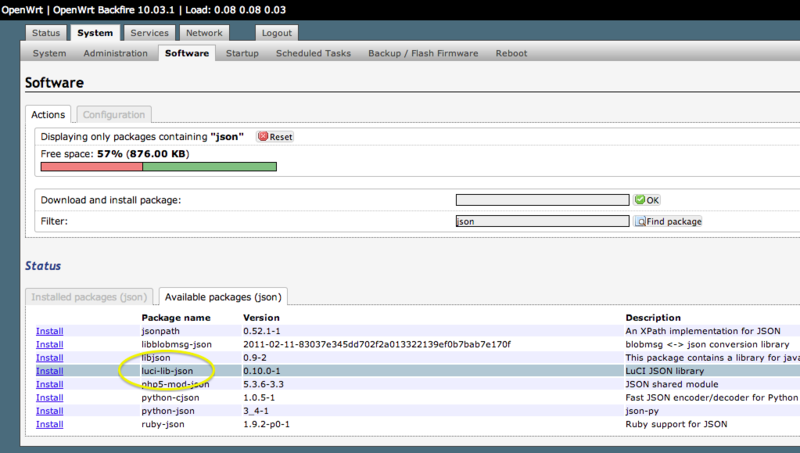 Once you make sure the script is working, create a cron job to automate the measuring and posting of latency values. Save your changes and verify the program is sending data every minute. Now that you have this data in Ubidots, navigate to the “Dashboard” tab in your account and create a Line chart widget like the one at the beginning of this page. You can also create Gagues, scatter plots to compare the latency against another variable (say, speed? ), and many other types of real-time widgets. In this example, we were able to measure the Internet Latency experimented by an OpenWrt router. We learned how to use the Lua programming language to send a value to Ubidots, enabling you to connect any type of Lua-powered device to our cloud. Do you have more project ideas? Create a Ubidots account and make them happen!